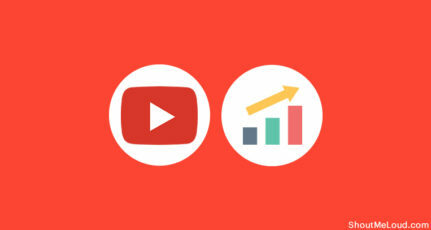 Is your YouTube channel growing the same way your competitors are growing? I’m a YouTuber from last 8 years & I struggle with publishing new videos at regular interval. Publishing is not the only problem I have, as I find it hard to get enough (decent) views on my uploaded videos. I always wondered, is there any trick that I’m missing that is blocking my growth on YouTube. A few days back, I came across this YouTube optimization tool known as VidIQ chrome addon that made me figure out what all is lacking in my channel and preventing its growth. Today, you will be learning about this awesome tool that I have started using recently, and I believe every Youtube publisher should use it. VidIQ is an enterprise-level tool that you can freely use for basic features & pro features for a nominal price. Even though, I have a pro account; you can always start with their free chrome extensions & later on upgrade when you see the great results as I did. More on this later, & for now let me show you how this cool piece of tech will help you to grow your Youtube channel. Update Feb 2019: Do check out TubeBuddy. VidIQ is great for an individual publisher like you & me or for digital marketing agencies who manage Youtube channel for their client. Most of us are aware of basic Youtube video SEO tips like use Keyword in the post title, use detailed description & make the video engaging. 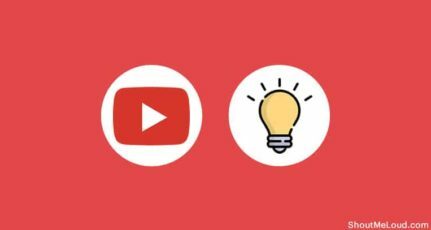 This is a common knowledge that every Youtube publisher have, but there is more than that one can use to give more visibility to their Youtube channel. Let me first talk about their pro version which starts at only $10/month. 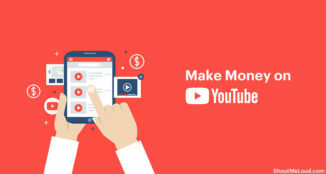 It may sound too much for entry-level Youtube publisher, but after learning about the features, you will also feel that $10 is a peanut price that we are paying for such awesome service. 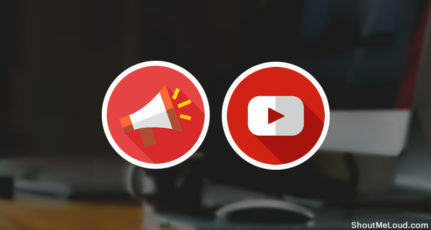 Getting started with VidIQ is easy, as you need to connect it with your YouTube account. It will import all the videos to their dashboard, and from here all the magic begins. Have a look at the dashboard after it pulled details from all my Youtube videos. You can sort any column based on views, shares, likes & other parameters. This gives you a great overview of popular videos from your Youtube channel. The fun part begins here, as you can click on any of the videos & make changes in descriptions, tags & also the title. Personally, I bother less about the description part as I always add it when uploading the videos. What I liked here is the YouTube tagging part, as this one thing could help you to get more views on every video that you upload on Youtube. 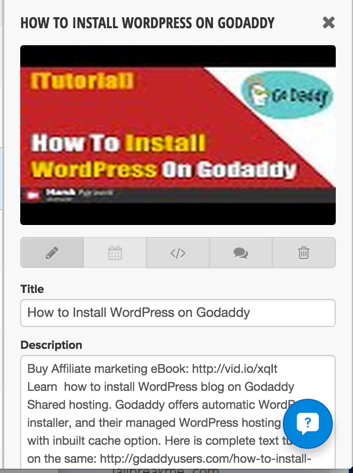 Let me also share a smart way to take advantage of VidIQ youtube tags feature. 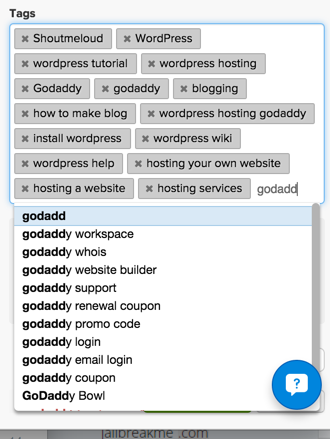 This one even works for free users, but you need to install free VidIQ chrome extension. What this plugin does is, it shows you the tags used on any Youtube video that is not publicly available. After installing the above free Chrome add-on, all you need to do is search for videos related to the one you are uploading & open the video with most views or based on the popularity. All you need to do is, use all the tags in your videos & it would significantly increase your video visibility. This is one of the many uses of VidIQ. You might be thinking that it’s a tedious task to edit individual video description & you are not wrong. Any guy in the right state of mind would think the same, but this is where description feature of VidIQ makes this Youtube marketing tool remarkable. Clicking on Stop campaign will automatically remove your campaign text & links from all videos. For now, you can create an account on VidIQ & import your channel for free to start optimizing all your uploaded Youtube videos. This was one unique tool that I found for Youtube publishers like you and me. If you know of any other tool like VidIQ, let me know in the comment section. Last but not least, do share this post with your friends who upload videos on YouTube. It might help them to grow their channel & they would thank you later. Thanks for the share about this VidIQ. It is indeed a very interesting tool for all YouTube publishers. I’m still actually new to being a YouTube publisher so I only have very few videos that I can still manage. But when the time comes that I have plenty of them, now I know that VidIQ is the solution. Thanks again for sharing. Really impressive tool! I will definitely dive closer into this tool. I will have some videos up soon, so this seems a great solution! I started my YouTube channel six months back some of the videos I am getting good views bot rest of the videos are not performing well, I do agree with you we have to optimize videos properly to increase views, this service looking worthful as per your statements, I will try this one. Thanks a lot for sharing about this VidQ service, see you soon. I have uploaded 30 plus videos in my Game channel, but never come across this type of tool and it looks very useful. Thanks a lot for the information and post. I am going to give it a immediate try now. Thanks Harsh!! 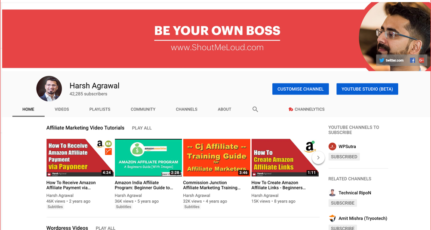 !, You are really helping those peoples who are new in youtube uploading and motivating them to use this kind of tools………. I Have platinum global card but i am nothing doing for buying this software can u please help me to purchase this software……. Thanks for sharing. I’m exploring the free version and has a lot of useful optimization tools. I confess a network advisor told me: “Every successful YouTuber uses it, but nobody gives it the just credit… aloud”. Thanks it really help for my how to tutorial channel on youtube but not helping in my entertainment channel where i make videos. They are not getting views. What should i do ??? Does VidIQ take a part of your monthly YouTube earnings? Nope. It’s a tool which you buy according to your requirement. Comes in Basic, Pro, Boost, Enterprise plan. Appreciate sharing your hands on research, Harsh. I agree with your honesty… growing a channel that’s educational is challenging. Any thoughts on whether their Boost plan is worth the SEO benefits over their Pro plan? I”m off to also check out Graphical Tube and the YT viral growth plugin. Your audience may also appreciate an updated post comparing your vidIQ experience this past year. is it possible to use both? Tubebuddy and VidIQ?